Travel to a red Indian reservation with this amazing slot by Amatic - Wolf Moon.Try your luck by joining the wolf pack as you spin the reels for big wins. 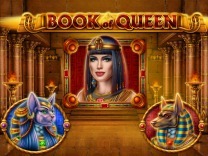 Loaded with ancient artefacts and wolves, this slot will have you hooked to the game in no time. Wolf Moon is a 5-reel, 4-row and 40 payline slot with tons of excitement and fun.So get ready to explore the treasures hidden within this slot as you play for huge rewards. Amatic has definitely delivered an amazing slot which can be enjoyed by different players. The game is presented in a 2D manner with the graphics rendered superbly allowing players to load the game without any difficulties. Wolf Moon can be played on multiple devices and it does not require any download so as to enjoy it as you can play this slot through your web browser.The slot takes on an animal theme with the main character being the howling wolf. This is the highest paying symbol in the slot. In the background, you will find that there is a mountainous ridge with fir trees and below it, there is the slot. 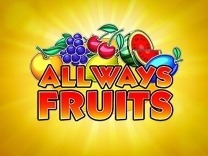 There is a soundtrack which will let you know whenever you spin the reels and land winnings.If you are searching for a slot which is exhilarating to play, then this slot is the one to pick. It is a low to medium variance slot which means that you will receive regular smaller pays between plays. However, you need to be patient if you want to land the big wins. Amatic has really outdone itself through this amazing slot. There are different symbols which tie this slot together. These symbols include a wolf, a gentleman, and artefacts. these are the standard symbols on the slot. These symbols offer a high payout of up to 80,000 coins for 5 of the wolf symbols while the lowest amount which you can receive is 40,000 coins for matching 3 of the artefacts symbols. There are also generic card symbols which are incorporated in this slot which include A, K, Q, J, 10, and 9. 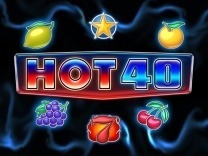 These are the low paying symbols in the slot and offer a high payout of 30,000 coins and a low amount of 100 coins for matching 5 and 3 symbols respectively.Before playing this slot, you are required to set a wager so as to redeem the wonderful prizes in this slot. You can accomplish this by clicking the bet button at the bottom of the slot. Wolf moon accepts a low bet of 1 coin and a high bet of 100,000 coins. For those players who like to sit back and watch wins land then there is a auto start button located at the bottom of the slot. In Wolf moon, you will find 40 paylines which will give you multiple chances to make winning combinations with each spin. You have to match 3 of the symbols on a payline to receive a payout. All payouts are paid from left to right of the slot.Watch out for the Wild as this is the best symbol in Wolf Moon. Matching 5 of these symbols will award you up to 200,000 coins. 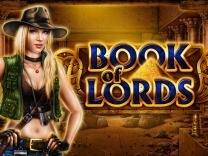 Unlike most games which take on a particular theme, this slot does not have a substantive bonus game. However, you will find that there are different bonus features which are included in this slot. These include wilds, scatter symbols and bonus spins.To trigger the bonus spins, players have to land 3 to 5 of the bonus symbols on any position in the slot. This will activate 5 bonus spins. You will be required to play the bonus spins until all the spins are depleted. There is also a wild symbol, which is represented by the howling wolf. This symbol will substitute all other symbols in the slot except the bonus symbol. The wild in Wolf moon has a maximum length of four symbols on the reels.Finally, there is the gamble feature. This feature is activated whenever you land a win in the base game and the gamble button at the bottom of the slot will blink signalling that you can play the game. If you click the gamble button, you will be transported to a second screen game where you will be presented with a card guessing game. You will be required to choose the correct card colour or card suit so as to double or quadruple your winnings. Incorrect winnings lead to forfeiting your winnings.